Which series is more popular, House of Cards or Orange is the New Black? And how many people have watched Alpha House and Transparent? Amazon and Netflix haven't exactly been willing to share that information, but it may be available soon enough, as Nielsen's going to start collecting their own data, much in the way they do with network and cable television. THR shared the news (citing Wall Street Journal) that Nielsen Media plans to begin measuring subscription online video services, which would include Netflix, Amazon Prime and presumably other services (Hulu, Crackle, etc), with a plan to provide said information to clients. Nielsen will be collecting this data by using the content's audio to determine what's streaming. They won't, however, be collecting data from mobile devices. Nielsen is already regularly collecting information from a sampling of TV viewers, through TV viewing "diaries" filled out by participants, as well as the Nielsen box, which hooks up to participants' televisions and tabulates what they're watching. They use this information to estimate TV program viewership and demographic information, which can influence advertising rates and have a significant impact on the fate of series. While advertising may not play a factor as it relates to Netflix and Amazon Prime, THR notes that Nielsen's findings could have an impact on negotiations for writers and actors, which could, in turn, have an impact on the longevity of a series, as it would presumably affect how costly the show is for the streaming service to produce. And then, of course, there are the media companies who likely want to know who's watching what, in order to decide where to put the streaming rights to their shows. 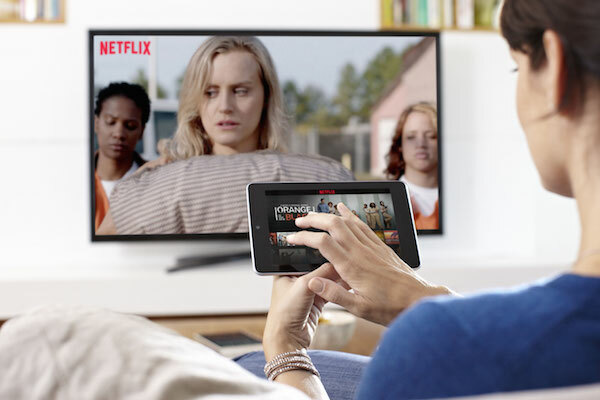 Amazon Prime and Netflix's silence about their viewership does create something of a blindspot for the industry, but those willing to pay for Nielsen's services may soon have a better idea of just how many people are binge-watching streaming video. Given the rise in popularity of streaming video services, it seems like it was only a matter of time before Nielsen started producing numbers. What's especially interesting will be how -- if at all -- Amazon, Netflix and other streaming outlets might respond to the findings, especially considering they won't include mobile device viewership. The number of people who stream content on their tablets, computers and cell phones could be significant enough to make a difference, especially as it relates to certain series. If Nielsen's estimations come in particularly low, will the streaming services come forward with their own data to reflect more accurate information? We know they pay close attention to what we're watching. Whether or not they decide to share that information remains to be seen.